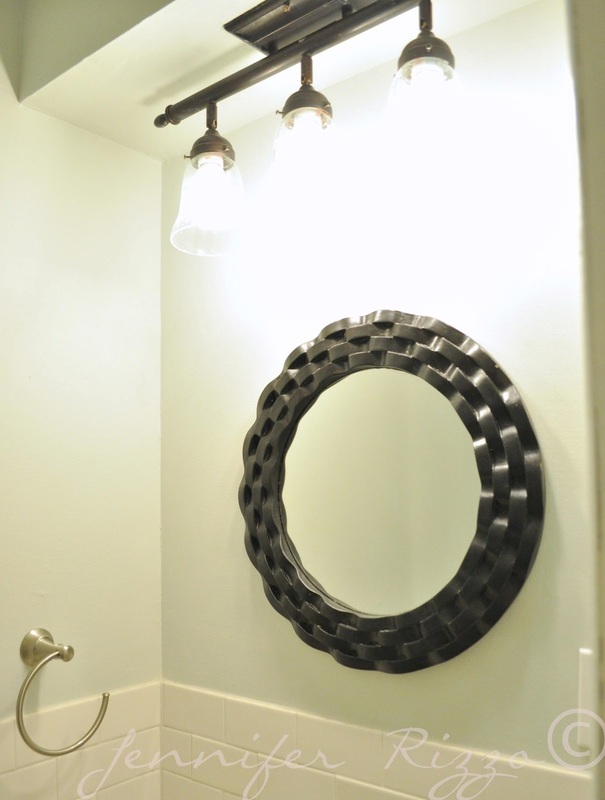 Complete budget bathroom renovations with befores and afters…. but booth bathrooms look so amazing now after their renovations I am really excited to show you the completed bathroom renovations! 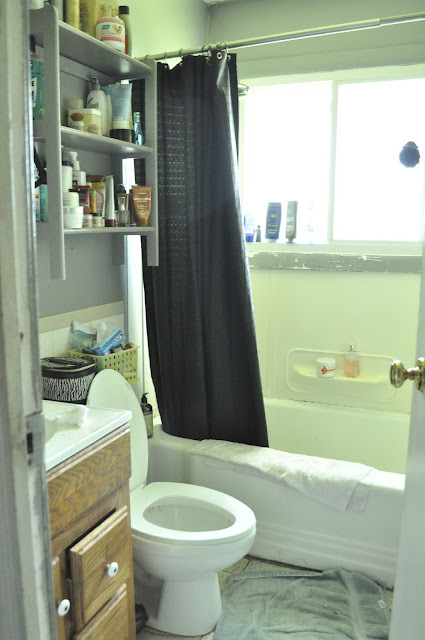 I’ll show you the bathrooms the same way I did the living room ,kitchen or porch so you can see the total transformation! 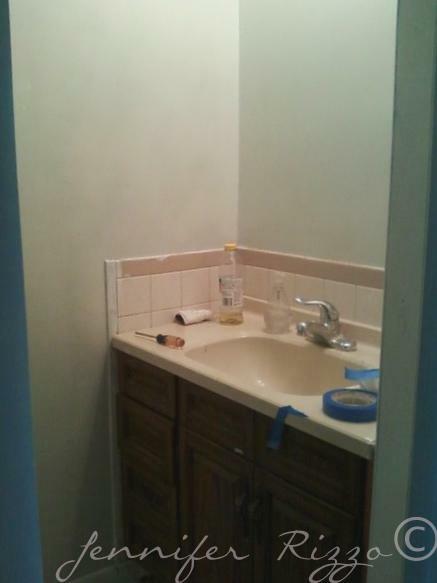 Here’s the before on the little bathroom first. 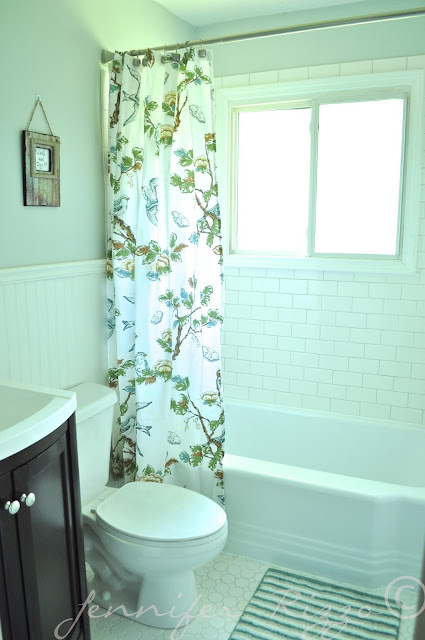 It’s a cute little add in bathroom in the master. Soooooo……. you know how stripes have a time and a place? This wasn’t the time or the place. EVER. 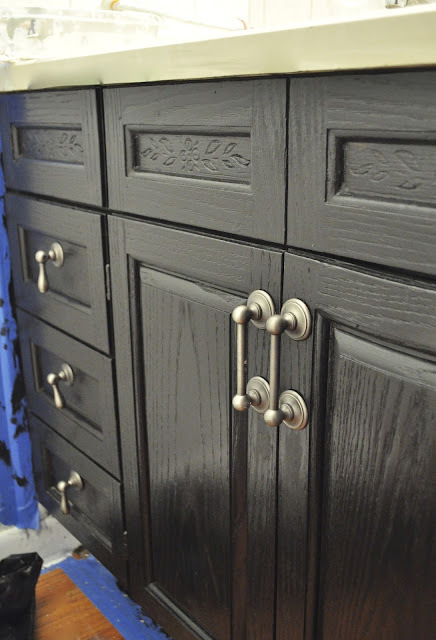 The wood cabinet was in good shape, just really dated. 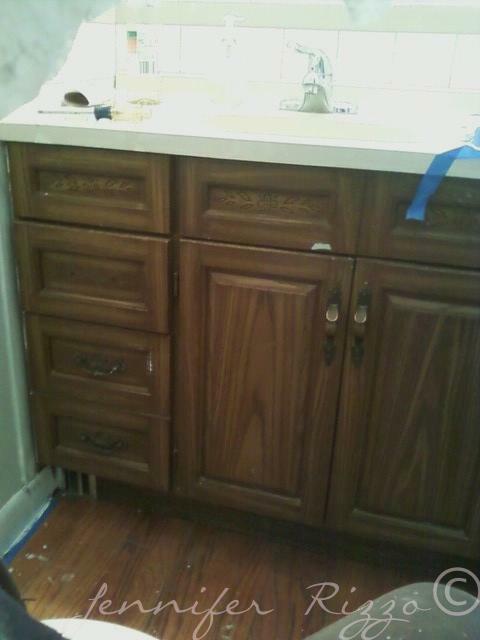 And the counter-top was also in good shape and a nice neutral color. But we decided the tile back-splash needed to be replaced as well as the light fixture and the faucet. The first thing I did was REPAINT and put new knobs on the cabinet. We also repainted the floor. We then popped all of the old tile off and re-tiled and replaced the light fixture with a restore light fixture. I hung a mirror from Homegoods , the new toilet was put on and it was ready to go! 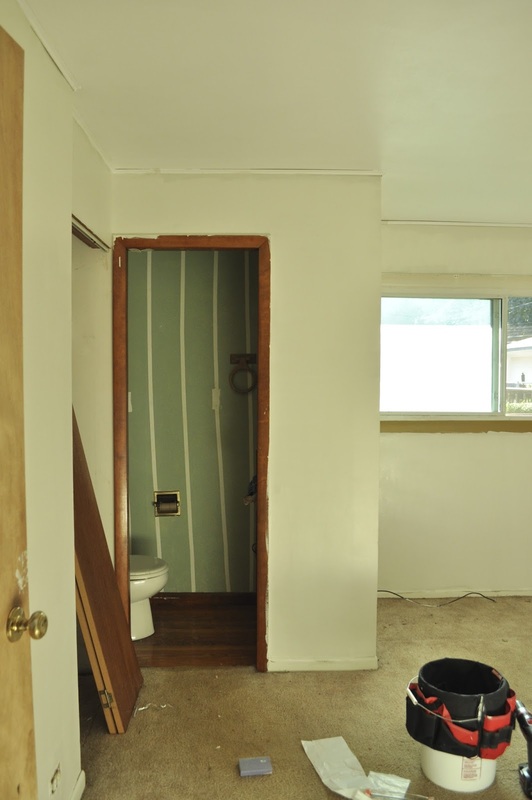 It’s now a cute little bathroom for a cute little house. 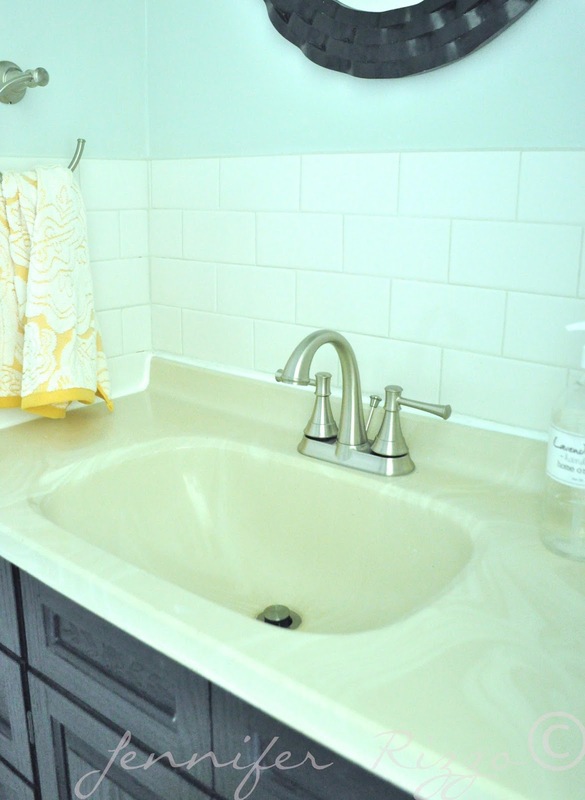 We put the same Ashville Moen faucet that’s in the other bathroom so they matched. 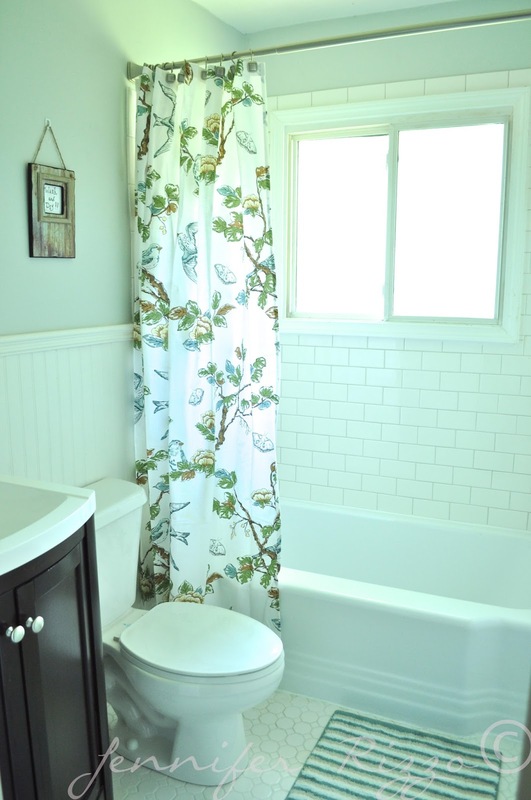 I think this little en suite turned out really nice, but I am thrilled with the main bathroom! 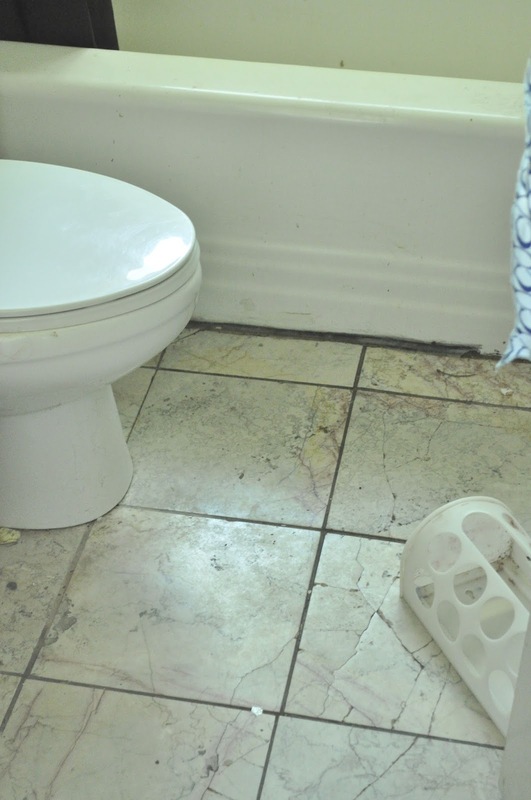 It had an old,gross shower surround that just wasn’t in good shape any more. That’s when I decided to learn to tile it myself. The main bathroom was a complete tear out except the tub(Which we had resurfaced). We also ripped out the weird plastic tile that was in the bathroom. Luckily all of the plumbing was good so we didn’t have to do anything with that. It was just all cosmetic. 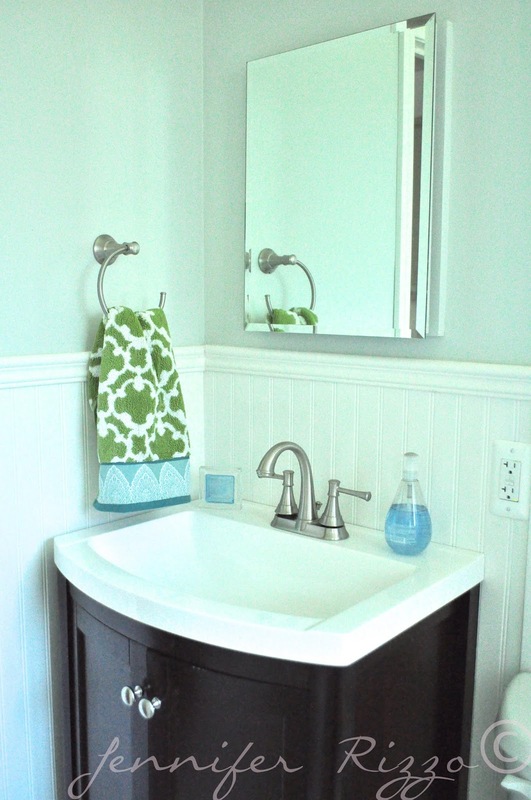 But the surround was just old and gacky,the sink top had burns on it, and the floor had been cracked. I think they used wall tile on the floor at one time. First, we removed the surround and replaced the floor. And faced with the cost of re-tiling,I learned to tile!!! I do not have a tutorial for this, but I did have sore legs for a week. I also custom mixed my own grout. I hated the colors in the store and wanted something between two of them. It was as easy as putting the two colors through a flour sifter over and over until they are completely blended. I would do a small test batch and see if I needed to tweek the color a little and then do it again until I had the color I wanted. I after grouted with a custom mix grout then the tub re-finisher came in and did his magic! It was around $500 and The tub looks almost brand new! The toilet went back in and we put all of the pretty stuff in! 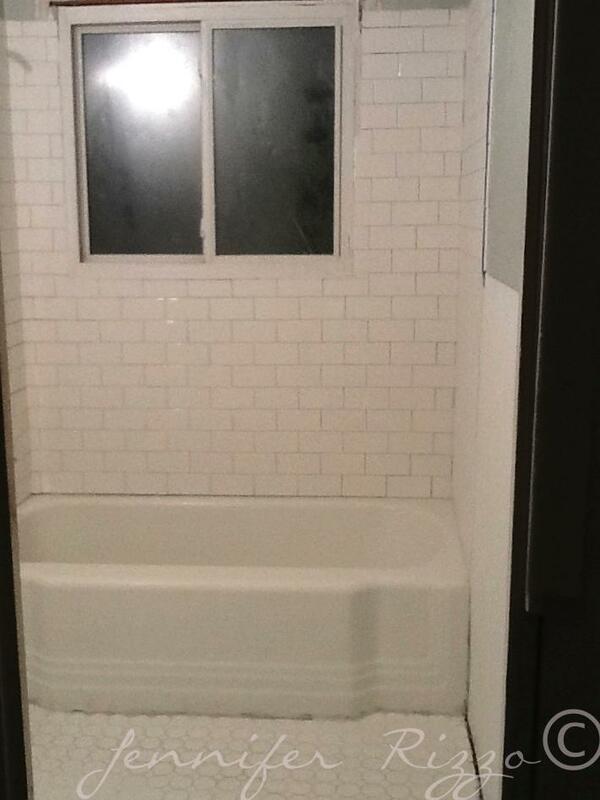 I love the subway tile! 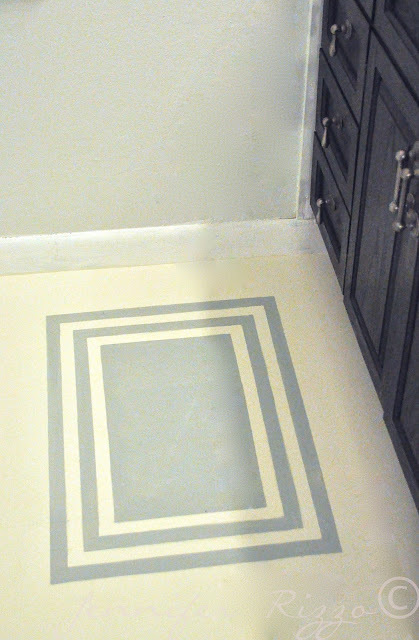 I now want to rip out the squares in our house. 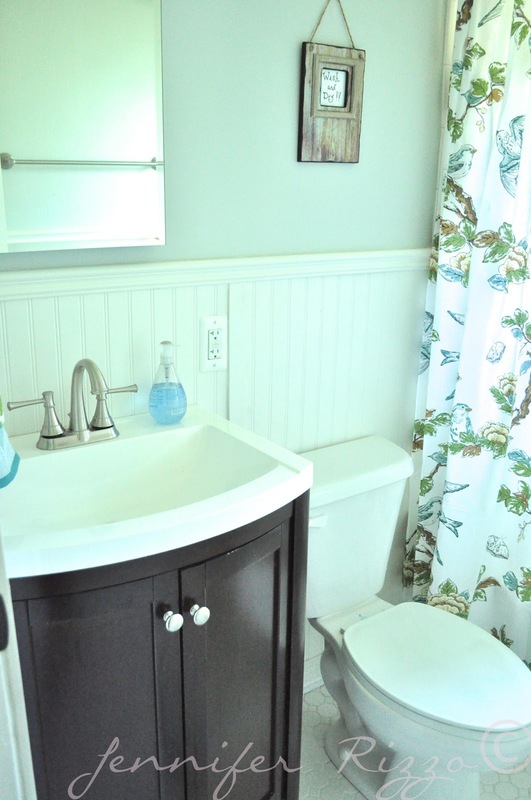 We also added beadboard and trim to make it pretty. I love the simple glass medicine cabinet. The pretty light over it is from Lampsplus. And I love the penny tiles on the floor. It was so dark before I really wanted this house to feel light and bright and airy. I just think it looks clean and fresh! I’ll have the full kitchen reno on Friday! I can’t wait to show you that space! Oh my gosh, Jennifer, this looks soo amazing. 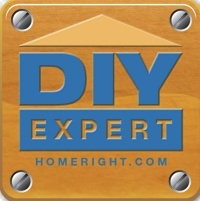 If you read my latest post, you see my fear in just getting some plumbing upgrades. You are fearless! And the white is just gorgeous, as is all of your hardware. I would think your hard work in the tiling should have a great return! Beautiful! 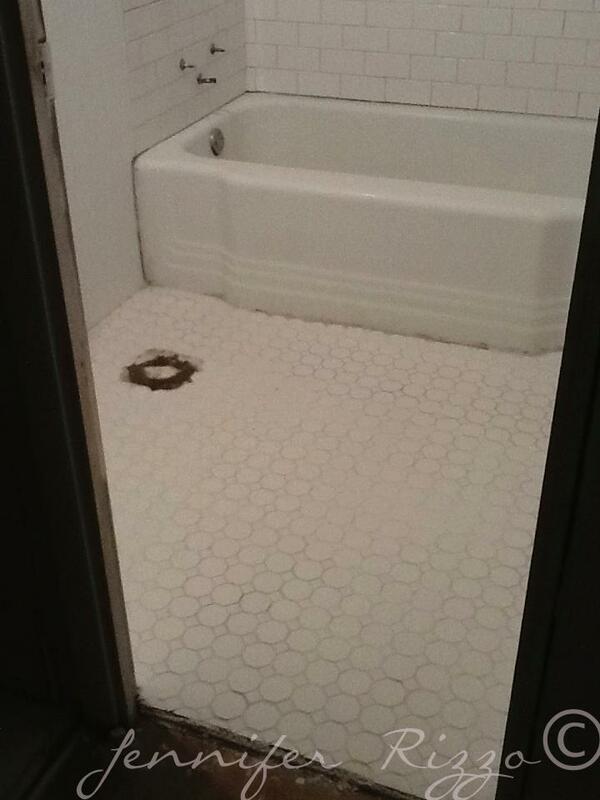 Great job with the tiling! So adorable! Loving the floor tiles! I love it. You did an amazing job. 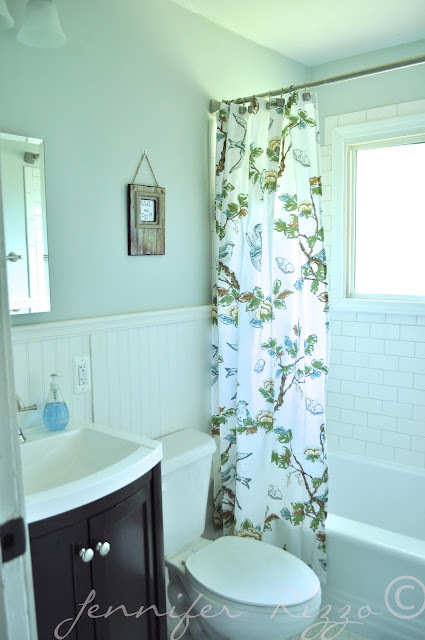 Where did you get the shower curtain and towel. They are adorable. almost can’t believe its the same space! 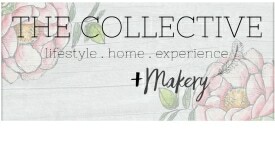 love all the details jennifer! Wow! Great job! Good choices on the materials. think the white is perfect, and I’m sure buyers will think so, too! So fresh and clean! Good luck with the sale! Wonderful Transformation! 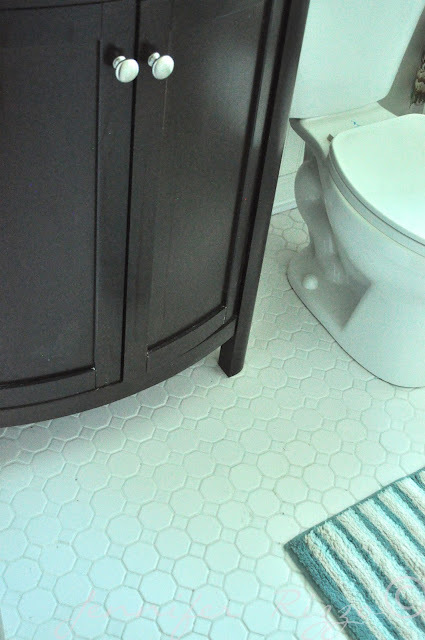 Love all the white tile. 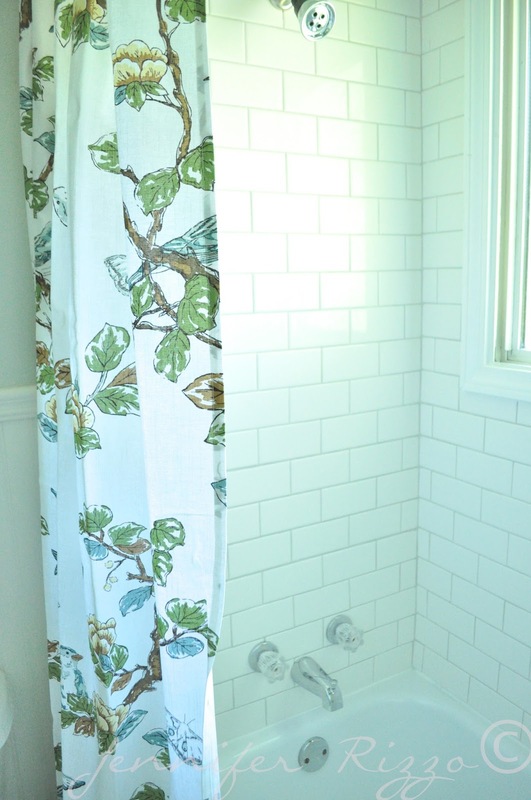 Cute shower curtain too! WOW! It’s beautiful! No such thing as too much white! Love the shower curtain…and the TILE!!! Well done, your hard work sure is paying off – this has been such fun watching this transformation with you, Jenn! Love it and it looks so vintage…which of course I adore. You did a great job in both! Impressive that you did the tiling yourself. I love subway tiles, too. 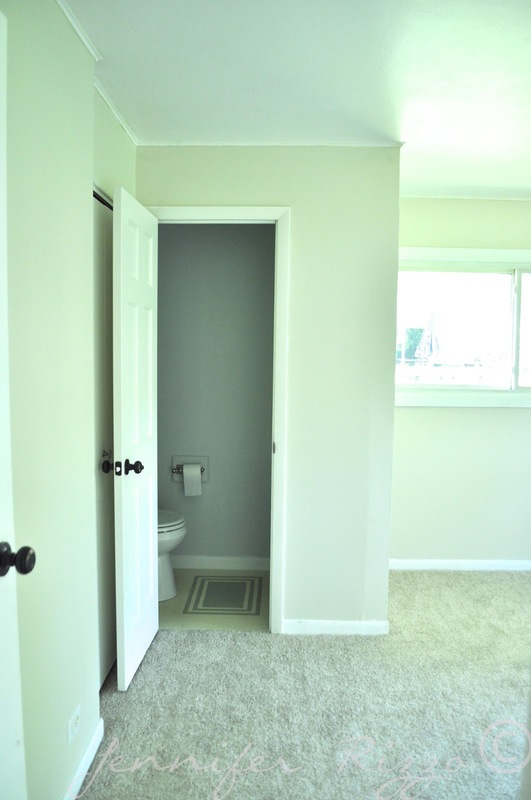 We too have two bathrooms that need to be re-done. We managed to tear off the wallpaper in our master and repaint it to match the *pink* tiles. It’s just a lot of work and money, but one day I hope to have my own before/after bathroom shots! Thanks for sharing, they both look beautiful.